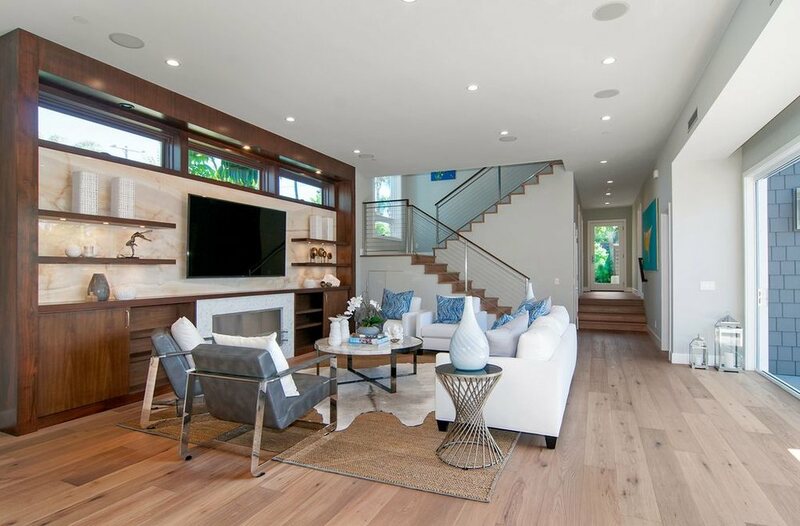 Solana Flooring is proud to offer DuChateau Vernal White Oiled hardwood flooring in the Carlsbad area of San Diego. 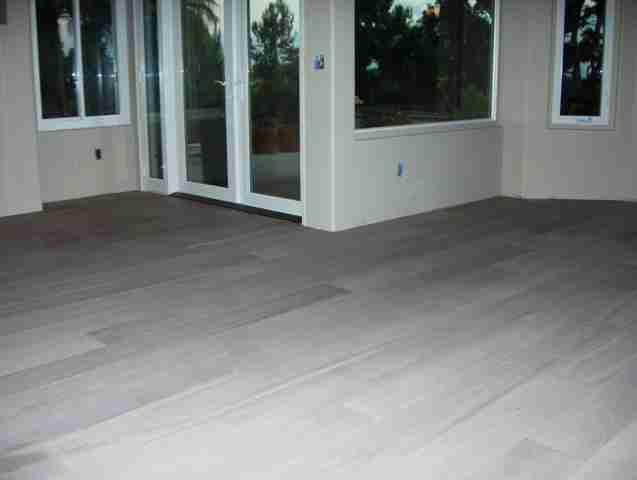 Check out photos of our client’s hardwood flooring in Carlsbad, they were referred to us by a general contractor we often work with. They were looking for a floor that would add to their atmosphere of tranquility and serenity as they bring in the outdoors with the indoors. Oil finish floors are currently in high demand, favored for their natural yet modern look. Lighter grey tones such as the one seen here are among the most popular, as are white washed looks. This particular product is made of select premium grade flooring and comes in 7” wide, long length boards, and would be a beautiful addition to a variety of interiors, from traditional to contemporary. DuChateau Engineered hardwood flooring provides a strong yet stable platform even though you gain a nice 7” wide floor. The DuChateau line offers several different colors and types of engineered flooring choices available in this wider format. The Vernal Collection brings on a new ambiance with its low luster hard-wax oiled finish, select premium grade flooring free from natural knots and cracks typical of wider width flooring. If you want a floor that's going to stand up to the the test of time, then consider choosing hardwood. It's beautiful, timeless, and surprisingly affordable, especially when you consider the high appraisal value. The right choice will go with any decor, is simple to clean and care for, and is hypoallergenic. For more beautiful exotic and even more affordable hardwoods visit our products page. Solana Flooring if you’re looking for a great selection and the highest level of professionalism for your project. What a beautiful site that wooden floor is. It looks like it has been white washed. I have never had the chance to oil a wooden floor in white. What type of oil did you use?